Wrinkleleaf goldenrod, like other goldenrods, has a long panicle of yellow ray and disk florets characteristic of the Aster Family Asteraceae. But there are a few key features which distinguish Solidago rugosa from the other Solidago species. The central stem, which can reach 1-5 feet, is covered in tiny hairs or pubescence. The upper surface of the foliage has a wrinkled appearance due to the indentations of the leaf veins. Hence, the common name Wrinkleleaf goldenrod. The 4 inch long and 1 ½ inch wide leaves alternate along the stem. The leaves have toothed edges. The foliage is often dull and slightly hairy. You can see wrinkleleaf goldenrod in bloom from midsummer into early autumn with a bloom period lasting between 1-2 months. The blooms of wrinkleleaf goldenrod attract an array of insects including bees, wasps, flies, butterflies, skippers and beetles. The caterpillars of many moth species feed on goldenrod as do many insects. Insectivorous birds feed on the insects which feed on wrinkeleaf goldenrod. 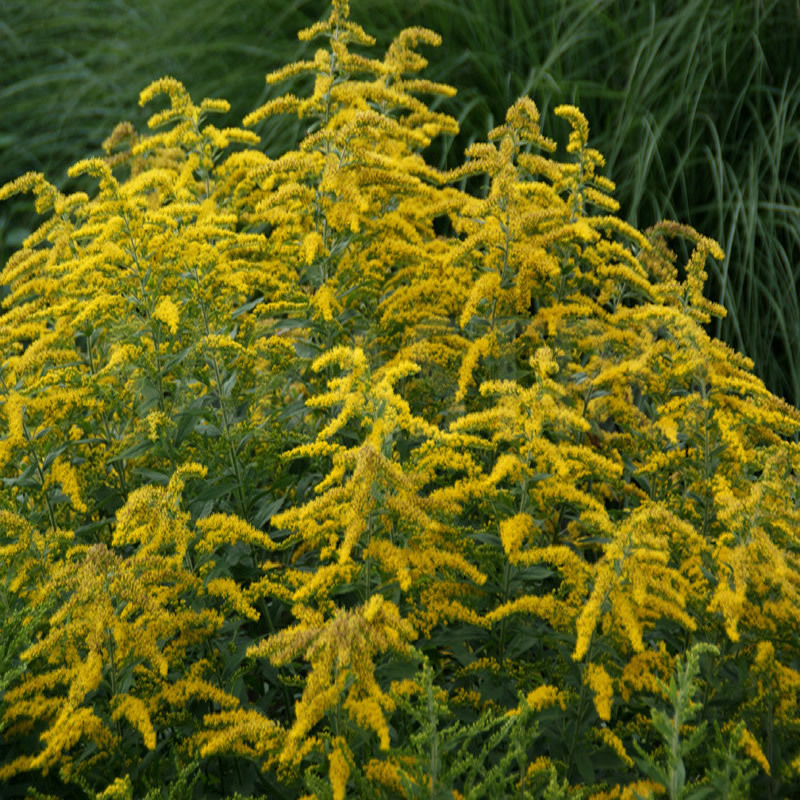 Wrinkleleaf goldenrod grows best in full sun, moist well-drained, slightly acidic spots. Wrinkleleaf goldenrod makes a great addition to a naturalized perennial garden.